Often, the end of a life leaves us filled with mixed emotions: sadness, yes, but also, deep regret about things that were never said and about thorny relationship rifts that remain forever unresolved. Bereavement care specialist Dr. Virginia A. Simpson, author of the memoir The Space Between: A Memoir Of Mother-Daughter Love At The End Of Life (She Writes Press), says this does not have to be the case, and that it’s never too late to bridge gaps and mend fences with those we love. She did so with her own mother, whom she cared for daily during her final years. 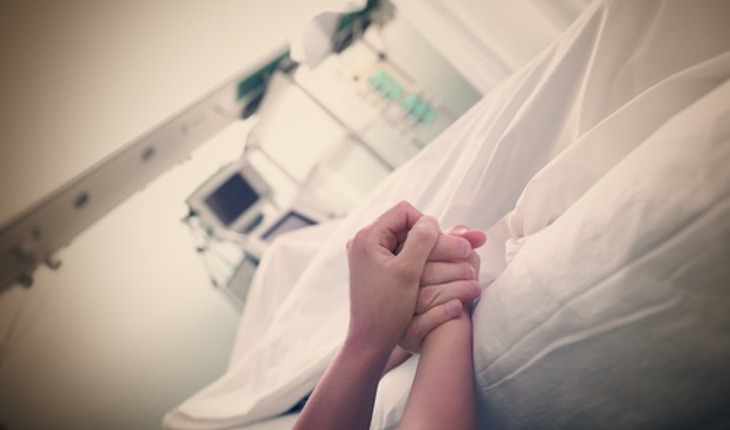 Once your loved one has died, your worldview will suddenly change. All the issues that seemed so irritating and insurmountable will lose their importance. Bear this in mind while she is still alive and allow the notion to help you remain calm and accepting as you interact with her. Frame the conversation in a heartfelt explanation of why you’re having it in the first place. For example, “I love you, and our relationship is important to me but I see that we’re not connecting well. I want to do what I can to help us connect.” This will help your loved one understand that you’re acting from a place of love and caring. Tell your story – honestly. Don’t walk away: be patient. Remember that your loved one, too, bears scars and may be sad and frightened. Lashing out in anger is often a manifestation of these two emotions. If he or she does lash out, be patient. Ask, calmly, “I see you are angry and wonder what’s going on. Are you frightened? Of what?” The answer may be unclear but this will help diffuse the tension. Though the conversations may be difficult, they will be worth it. You will have fewer regrets once your loved one is gone and will be able to honor his or her memory in a healthier, more peaceful way. Virginia A. Simpson, Ph.D., is a bereavement care specialist and Executive Counseling Director for hundreds of funeral homes throughout the United States and Canada. She is also founder of The Mourning Star Center for grieving children and their families and author of the memoir The Space Between (She Writes Press, April 2016) about her journey caring for her ailing mother. To order the book, click here.